From Vietnam to the most recent Iraq and Afghanistan veterans, the individuals listed below represent the most impactful influencers from 2016. 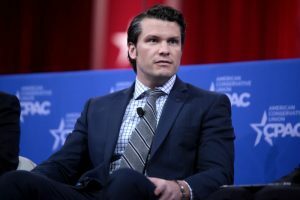 An Army veteran who deployed as an officer to Afghanistan and Iraq, Pete Hegseth is a frequent contributor to Fox news outlets on television and online regarding veteran and national security issues. 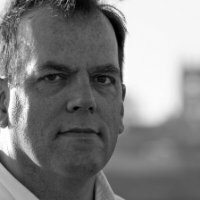 As CEO of Concerned Veterans for America from 2012-2015 he built “largest conservative veterans advocacy organization in America and led the charge for real reform at the Department of Veterans Affairs.” Prior to that he served as executive director of Vets For Freedom from 2007 to 2010. A published author and graduate of both Princeton and Harvard, his tireless advocacy on behalf of veterans garnered the attention of President Trump and earned Pete consideration for the cabinet position of Secretary of Veterans Affairs. Published author, entrepreneur, advocate, activist and Army veteran of the Iraq war where he served as an officer, Paul Rieckhoff is the founder and current Chief Executive Officer of Iraq and Afghanistan Veterans of America (IAVA), “a nonpartisan, nonprofit founded in 2004, with over 150,000 members in all 50 states” with a mission to “improve the lives of Iraq and Afghanistan veterans and their families.” Under his leadership, IAVA led the charge to create and pass the Clay Hunt Suicide Prevention for America’s Veterans (SAV) Act. A graduate of Amherst College, Paul is a frequent contributor to the New York Times, Associated Press, Wall Street Journal, USA Today, Los Angeles Times, Washington Post, and Newsweek, and is a regular blogger for The Huffington Post, Military.com, and Scoop 44 on all things veteran and the wars in Iraq and Afghanistan. Recently appointed Secretary of Defense under the Trump Administration in an exception to policy not exercised since 1950, Secretary James Mattis retired from the United States Marine Corps as a General after 41 years of service in 2013, beloved and revered by his Marines. He initially enlisted in the Marine Corps Reserve in 1969, and was commissioned a second lieutenant through the Reserve Officers’ Training Corps on January 1, 1972, upon graduating from Central Washington University. 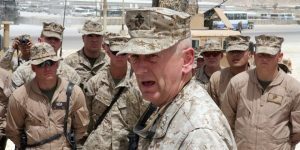 His grit and determination earned him the nickname “Mad Dog” and the call sign “Chaos.” Secretary Mattis has served as the commander of an infantry battalion the Persian Gulf and, as his career progressed, went on to lead joint commands in Iraq and Afghanistan to include NATO. Bob “Shoebob” Carey, a retired Navy Captain with 29 years of combined active duty and reserve service as a Surface Warfare and Naval Flight officer in Desert Storm and four activations after 9/11. “Shoebob” joined the Republican National Committee in 2014 to run their Military & Veterans Engagement program, known as GOPVets. As Director, Shoebob expanded the program, eventually coordinating with the “Veterans for Trump” effort, to a staff of more than 50 full time veteran and military spouse staffers and 27,000 veteran volunteers. Prior to his stint with GOPVets, Shoebob was a Senate staffer, Senior Policy Advisor to the Secretary of Energy, Director of DoD’s Federal Voting Assistance Program, dual qualified Surface Warfare Officer and Naval Flight Officer (A-6E “Intruder”), and selected seven times for Navy Reserve command. 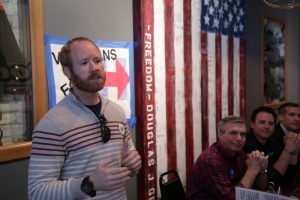 Jonathan Murray served as Hillary for America’s Director of Veterans and Military Families Outreach. Murray, is a Marine veteran who served under Secretary Clinton with USAID in Afghanistan. He studied at the London School of Economics and also studied Political Science at the University of Florida. We watched first hand as Jonathan put forward an A+, ALL-IN effort, that included never ending nights and lots of blood, sweat, and tears. We know this presidential campaign won’t be the last we see of Jonathan and we are looking forward to his next chapter.